Work always from servo to the blades, everything centered, in line and levelled. We use the complete servo travels and forces as best as we can. 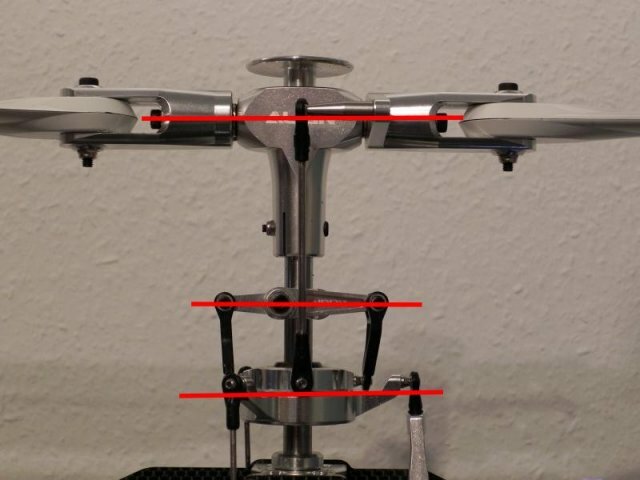 Our rod length will be deifned during this setup automaticlly. Even if you remember this rule no more explanations will be needed. But ... a image tells you more than 1000 words and so we did some examples for main and tail rotor here. 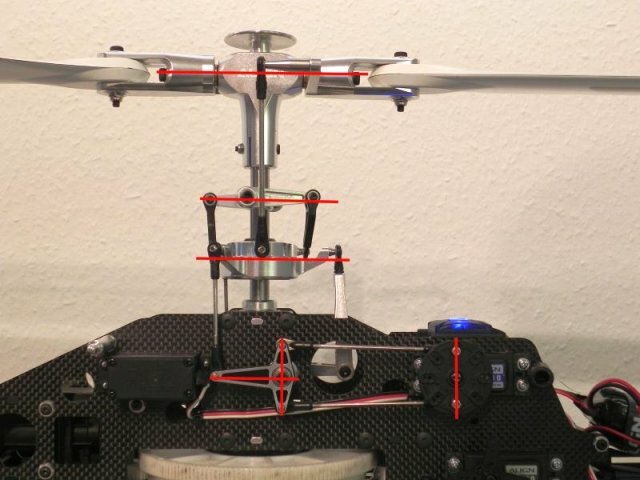 Helis with direct linkages have a small advantage. You have to look only for the servo horns (90deg), swash (levelled and mid of travel), swash driver and main head (0deg). First we align the servo horns (pc soft, menue swash trim). Therefore delete all trims (auto and manual) in pc soft and mount them in 90deg (as best as possible). 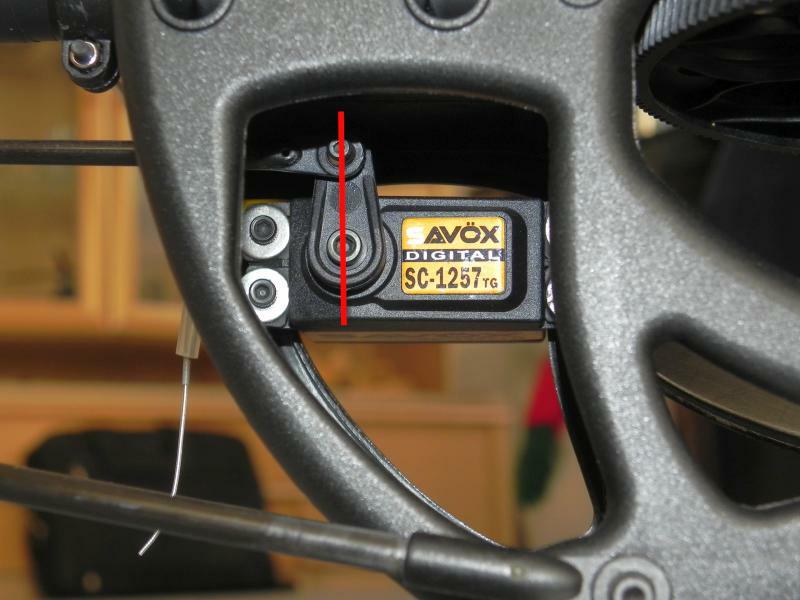 The rest to 90deg can be done with the single servo trim in the pc software. 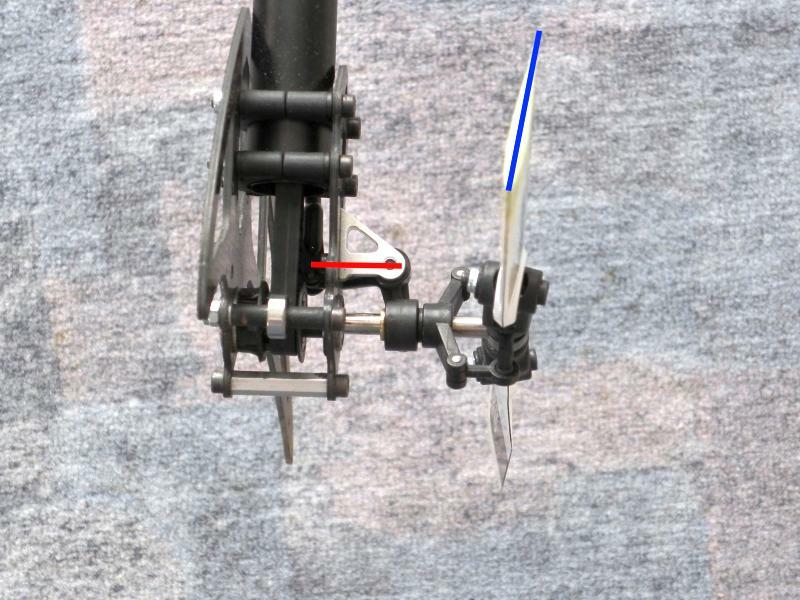 In this step we have to estimate the usefol throw of the swashplate. Please have a look at the rear swash bolt that keeps the swash in position. Lengthen the rods from servo to swash now. The swashplate should stay levelled and in the mid of our travel after this. Place the swashdriver now, it should also allow the same throw in both directions. As last task lengthen the rods from swash to main head. The length must be set as needed to get 0deg on the blades now. Helis with push pull linkages need abit more work. You have to look for the servo horns (90deg), pp lever(90deg/levelled), swash (levelled and mid of travel), swash driver and main head (0deg). First we align the servo horns (pc soft, menue swash trim). Therefore delete all trims (auto and manual) in pc soft and mount them in 90deg (as best as possible). 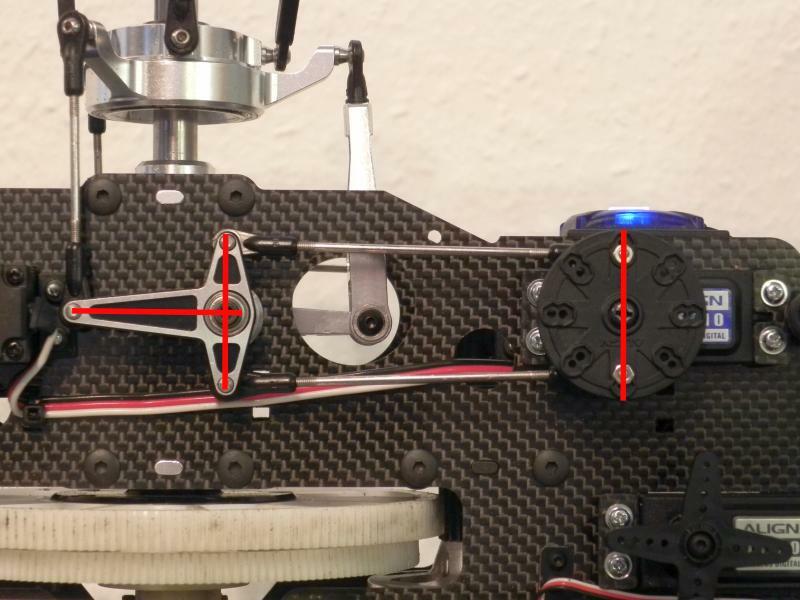 The rest to 90deg can be done with the single servo trim in the pc software. After this lengthen the pp rods (both the same length) as log as needed to get the pp levers levelled/90deg now. On helis with pp the swash position will be almost predefined by the elevator linkage. This linkage should stay in 90deg/levelled now. Lengthen the aileron rods now to get the swash levelled. 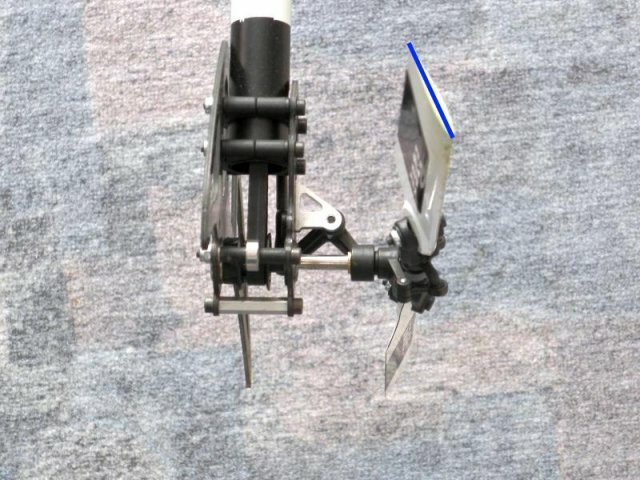 Place the swashdriver now, it should also allow the same throw in both directions. Select tail setup in VBar pc software (delete trim flight previously). Now mount the tail servo horn in almost 90deg position. If it won't fit to 90 deg, mount as best as possible. 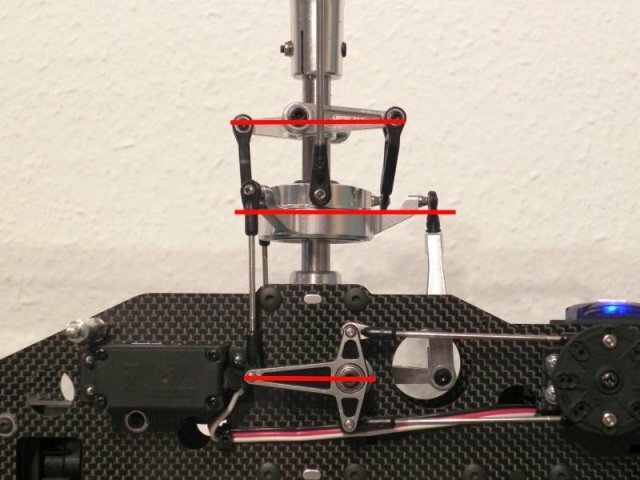 Then turn of the RC power and move the servo to 90deg manually. 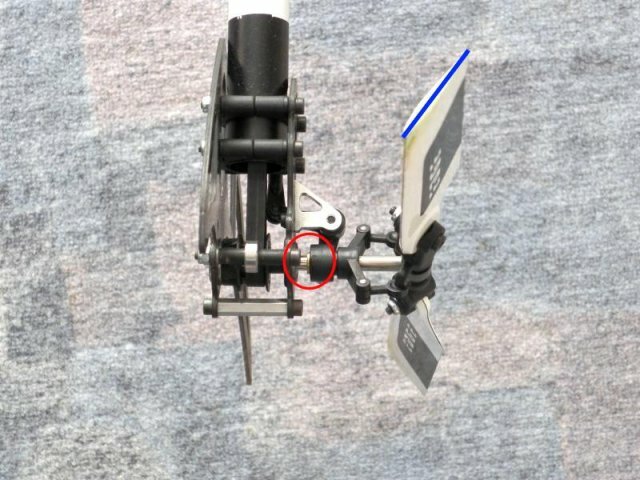 The tail lever arm must be aligned by hand now. The goel is to get about 2-3deg tail thrust against the torque in this position. In most helicopters this will be achieved when the ingoing lever arm is 90deg to the tail boom. After this basic adjstment lengthen the tail rod until it fits perfect between the previously set servo and the arm here. The maximum throw must be set with the pc software now. Please take note about aerodynamical limits. There will be more throw possible in this example but this will provide a stall effect (bad stop behaviour) only. Of course on both sides. Here we can set the throw until it binds and 2 points back.